Smart companies understand the importance of investing in their employees – it pays off in the form of an engaged workforce, higher retention rates, and better business results. Investing in employees isn’t limited to providing the best office supplies or health benefits, and it doesn’t have to be as grand as a fully-stocked game room. Providing a flexible work environment is one of the best ways to invest in the happiness, productivity, and well-being of your staff. Despite the fears many companies have about remote employees catching up on their Netflix queues while on the clock, working from home can save the company money on expenses like parking reimbursements and office space. At home many employees are also more productive, as they are freed of distractions like colleagues popping in or enduring long commutes, which can be draining. Working from home or telecommuting is one of the most common workplace flexibility trends. It is estimated that since 2005, telecommuting has grown by over 100 percent. Today, 3.7 million employees work from home at least half the time. Despite the growth of this trend, employer policies on telecommuting vary – some employers allow it on a case-by-case basis, while others let employees and their respective departments decide what works best for them. Regardless of which policy employers have in place, it can be a challenge to ensure remote workers feel like they’re a part of the company culture. Off-site employees routinely miss events like holiday parties and lunches celebrating team accomplishments. They aren’t there for the Monday morning “watercooler” discussions around who died on Game of Thrones that can bring co-workers closer together. It won’t take long for remote workers to feel left out and possibly become disengaged if they are not included in the culture. Constant communication is crucial for maintaining a functioning and engaged team when part of your workforce is distributed. 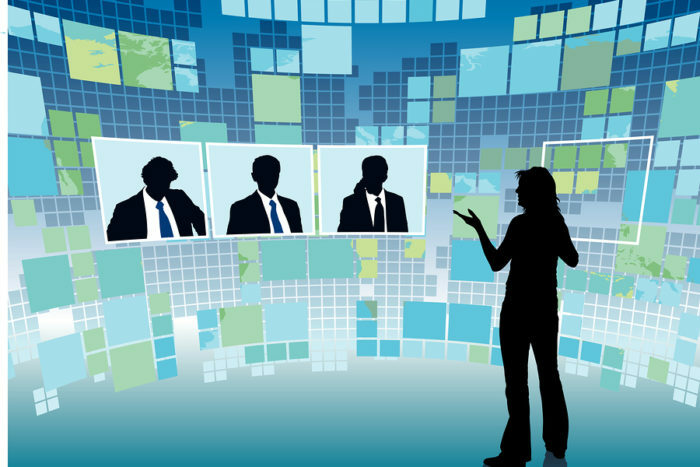 Technological advances in communication tools and software allow employees to move beyond sending messages via email or chat to holding meetings via video conference and collaborating on documents in real-time, no matter where they’re located. A recent report suggests that 75% of telecommuters leverage tools as part of their work routine. However, it is also important for supervisors and upper management to use these tools to connect the workforce and establish a direct link among team members. Slack: Over half a million users rely on Slack’s messaging service for workplace communication. Regardless of an employee’s physical location, they can quickly and efficiently communicate with any other employee in the organization using direct instant messaging or group discussion “channels” that can be organized by department, project, or any other useful classification. A “just for fun” channel can be created for non-work discussions in order to establish a virtual watercooler. Slack supports easy video sharing and is integrated with Giphy, which puts a world of fun animated images at your fingertips. Doodle: Traditionally, remote employees have found it difficult to coordinate meetings with onsite employees because of time and scheduling differences. Rather than sending countless emails to the entire team trying to find a time that works for everyone, apps like Doodle foster collaboration and enable offsite employees to easily view their coworkers’ availability. Each attendee can indicate the best time for them to meet, and Doodle will provide the organizer with a snapshot of what works best for the entire group. These and other tools make remote workers feel like they are part of the daily workflow within the company even though they’re not physically present. Remote employees need to feel valued as much as in-office workers. Online recognition programs enable managers and colleagues to easily and effectively show appreciation for the great work remote employees do. If you incorporate social elements into the program, other employees can comment on and “like” the accomplishments of their remote co-workers, turning a one-to-one communication into a wider message that can echo for days on your recognition website or intranet. Not only is recognition a “feel good” practice, but it reinforces your organization’s core values, even to those who rarely or never set foot in your door. Recognition awards should be aligned with the types of behaviors you want to see from all employees, such as putting the customer first, great teamwork, or creative problem solving. Getting recognized for these accomplishments will deepen the remote employee’s feeling that they are truly a valued part of the organization. These practices bring your whole workforce together in a culture of recognition. Ultimately, managers and other company leaders are responsible for modeling supportive and inclusive behavior. Just as they check in with employees in the office, managers need to make the time for regular check-ins with their remote employees. Provide opportunities for them to both visit the office and lead meetings virtually. The key is to encourage collaboration between remote and in-house teams as often as possible. When other employees see managers practicing inclusiveness, they’ll be more aware of the need to engage and collaborate with remote employees. Eventually, it will become part of the company culture. Company culture can and should extend outside of your office walls. Show every employee that you value each person working in your company. When inclusiveness is an integral part of the company culture, every employee will make others feel like part of the team, no matter where they set up shop for the workday. Nothing beats face time. Unlike onsite personnel, telecommuters don’t have the opportunity to have regular face-to-face meetings on a consistent basis. They need to spend valuable time with managers and colleagues alike to ensure that good working relationships are built. Additionally, remote employees usually miss out on team-building events. When scheduling fun activities like happy hours or company parties, try to include remote employees during the scheduling and planning phase whenever possible to ensure they can attend at least some of these events. No amount of emails or instant messages can form bonds like the laughs shared over a few martinis. Ask any recruiter or HR leader today and they’ll tell you that finding great talent is one of their biggest challenges. By opening your company up to those who may be outside your geographical area or who need alternative work arrangements, you are accessing a wide pool of talent you may have otherwise overlooked. It might take a little more effort to engage employees when you don’t see them physically each day, but if you set up the right tools, management practices, and culture, you can make it work. Meredith Mejia is the director of marketing at WorkStride. She has worked in the recognition and incentive industry for more than eight years and has written extensively on the topics of employee engagement, motivation, management, and company culture. You can follow her posts on Twitter via @WorkStride.